Did it actually take place last weekend? And what actually happened there? 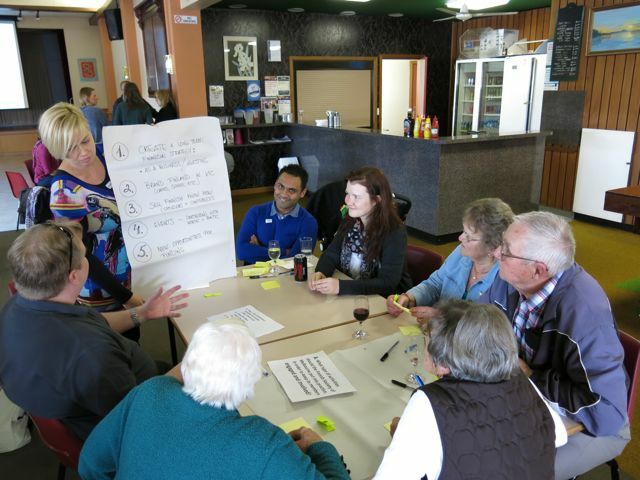 On Sunday afternoon we finally had our brainstorming session at the Finnish Hall in Altona. 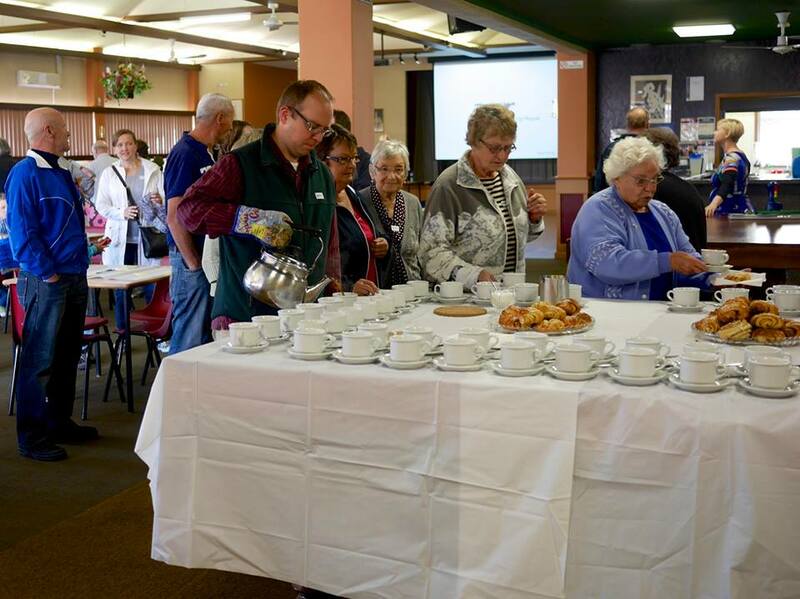 With over 70 attendees, young and old, the event was a huge success. The day was filled with good food, great company and a bucket full of fantastic new activity ideas. In the beginning we were all asked to sit down in tables of four. In front of us was a large piece of butcher’s paper and post-it notes. What should we do with these, we wondered? But before we had a chance to even ask, the event started with President of the Finnish Society of Melbourne, Jori Tossavainen welcoming all of us to the venue. After the warm welcome, Niina Kautto shared the results of the membership survey conducted earlier this Spring. The audience listened to her presentation carefully, everyone was interested in hearing what us Finns actually want from our Finnish Society in Melbourne. And at this point, I’m sure you’d love to see the results too? You’re lucky, because you will! Nina is currently working on the online version of the survey results and will post a link as soon as she’s ready. After the survey results it was time for the real action. 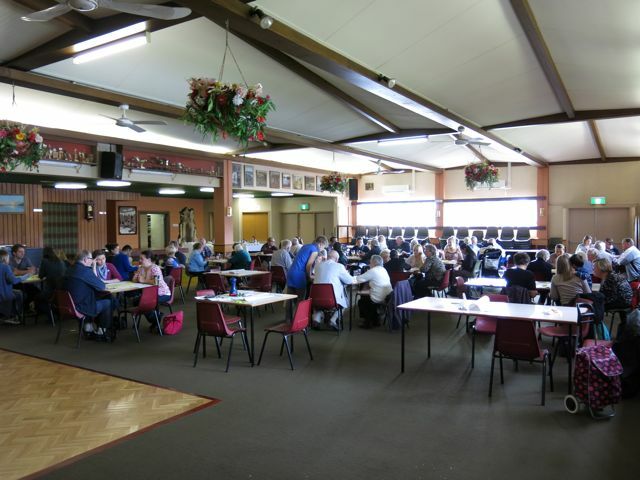 The tables were split into two groups, A and B. The group A’s were responsible for coming up with ideas the society could do, and the group B’s were alternatively responsible for figuring out how we could make all those activities reality; how could we find the funding for everything. Full house – ready for the workshop. Anne Salomaa and Riina Aapa, our lovely ‘cruise directors’, encouraged us to be adventurous and not worry about logic nor reality, and try to get at least 150 ideas on paper. So it truly was a time for some serious brainstorming! And so we did! I’m not exactly sure how long we had to come up with different ideas, but the time flew by and soon we had to stop. We didn’t come up with 150 different ideas, but we certainly didn’t hold back! After brainstorming the two groups were merged, so one group A had to explain their ideas to one group B and vice versa. And then within that group we voted on which ones we liked the best. We didn’t share the winners with other merged groups, but all the ideas were collected on those butcher’s papers and hung on the wall. The ideas will be shared with the wider audience in upcoming weeks. 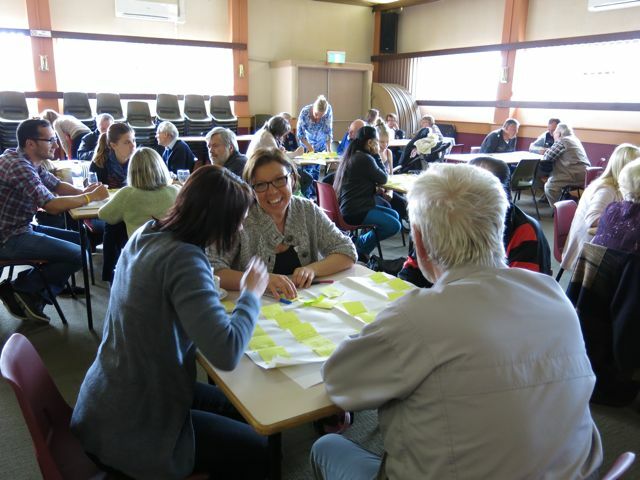 Some of the ideas that came up were: taking Finnish Shop online, more BBQs and culture events, making membership fees easier to pay, and taking some of the activity to the other side of the bay. Jaana and her team presenting the ideas for the other team. The entire afternoon got a brilliant ending as it was finally time to eat! 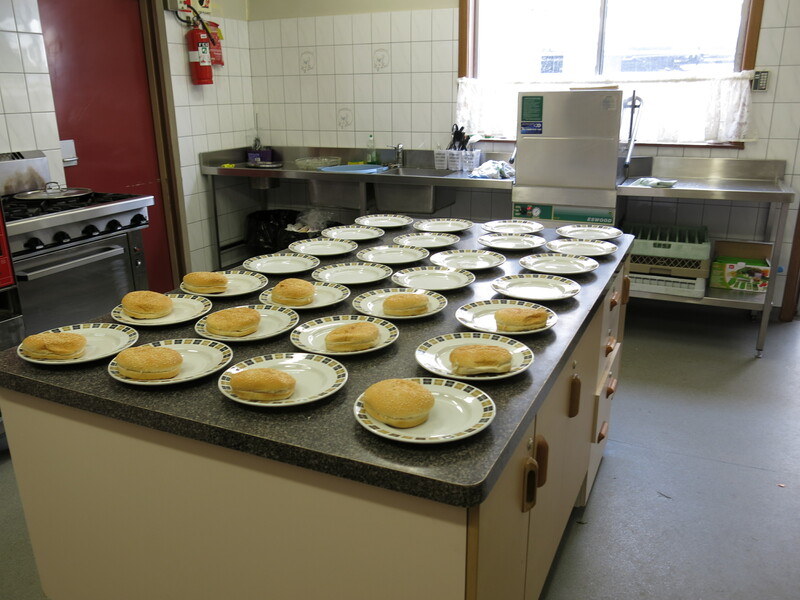 The fabulous kitchen team had waved their magic wands and created a tasty afternoon snack: burgers and salads (I think Taru’s potato salad deserves a special mentioning, it truly was yummy!). All in all, the afternoon was fun! We met lots of new Finns and had a chance to share our ideas and listen to others – so well done gals, let’s make this an annual event! 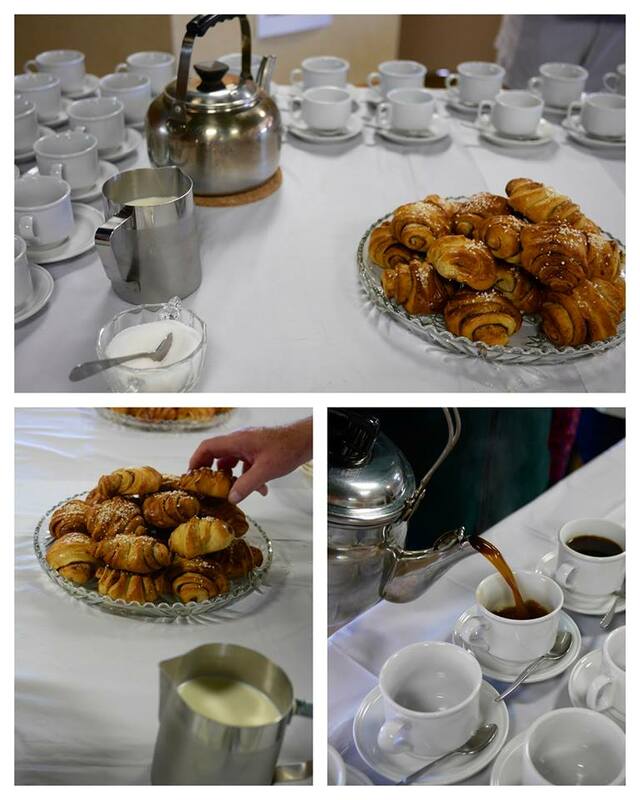 Kaarina’s and Pirjo’s teams had baked some lovely cinnamon buns for the event. Ready for the coffee moment – Jaakko’s help was needed! 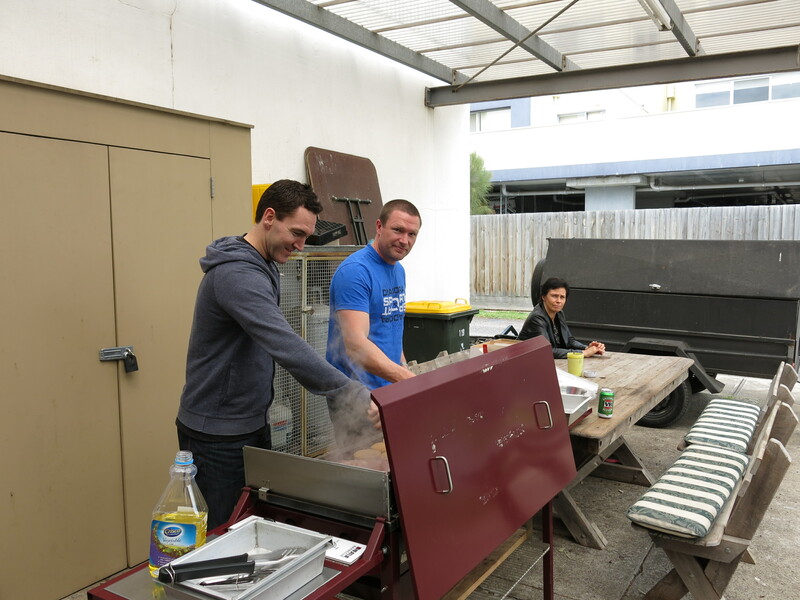 Taru’s kitchen team is getting ready for the barbecue. Tervetuloa aivoriiheen sunnuntaina 27.10. Suomi-talolla Altonassa klo 13 alkaen (noin klo 17 asti)! Ohjelmassa vuosikyselyn tulosten esittely ja tulevan toiminnan ideointia, sekä kovan aivotyön jälkeen grillailua. Aivoriihi on avoin kaikille Suomi-Seuran toiminnasta kiinnostuneille (eli ei tarvitse olla seuran jäsen). Jos haluat osallistua grillailuun, varaa ruokailulippu etukäteen (linkki vie verkkosivuille, josta liput voi ostaa suoraan). Hinta $10 aikuiset, lapset 0-12 vuotta syövät ilmaiseksi (Suomi-talolla on myös leluja ja kirjoja pieniä vieraita viihdyttämään). Sopivan tarjoilun varmistamiseksi, varaathan lipun 23.10. mennessä. Ilmoita erityis/kasvisruokavalioista sähköpostilla tiedotus@fsmelbourne.com.au. Talon baarista löytyy virvokkeita huokeaan hintaan. Ja mikäs sen mukavampaa (ja ekompaa) kuin saapua kimppakyydillä, joten ilmoita toki alla tarjoatko vai tarvitsetko kyytiä. Suomi-talolle pääsee myös junalla 300m päähän (Werribeen suuntaan, aikataulut http://www.ptv.vic.gov.au/). Tilaa ruokaliput ›› (linkki vie verkkosivuille, josta ruokaliput voi ostaa etukäteen). Welcome to the brainstorming afternoon! It will take place on 27th of October at the Finnish Hall in Altona from 1pm onwards (until around 5pm). Program includes the presentation of the survey results, brainstorming of future activities, and after all the hard work, the barbecue. The event is open for everyone, that is for both members and non-members of the Finnish Society of Melbourne. If you would like to attend the barbecue, please book the tickets in advance (this link takes you to a website where you can buy barbecue tickets in advance). To ensure there is enough food, please book latest on 23rd of October. Price $10 per person, children 0-12 years for free (there are some toys and books to entertain small guests). Please let us know of any dietary requirements at tiedotus@fsmelbourne.com.au. You can purchase drinks from the bar. And what would be nicer (and more eco-friendly) than carpool there, so please inform about your lift offer or request below. Note that you can also get to Altona by train, and the Finnish Hall is only 300m from the station (timetables to the trains to Werribee http://www.ptv.vic.gov.au/). Book barbecue tickets ›› (this link takes you to a website where you can buy barbecue tickets in advance). You can read all our previous newsletters in our online archive.